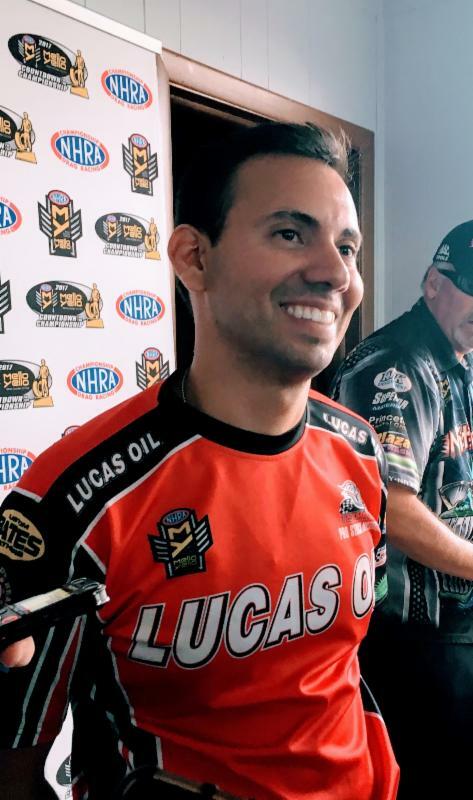 There was no chance of running the first 200-mph Pro Stock Motorcycle pass Friday at the 33rd annual Dodge NHRA Nationals, so Lucas Oil Racing TV pro Hector Arana Jr. did the next best thing by claiming the provisional pole on his red, white and blue Buell. 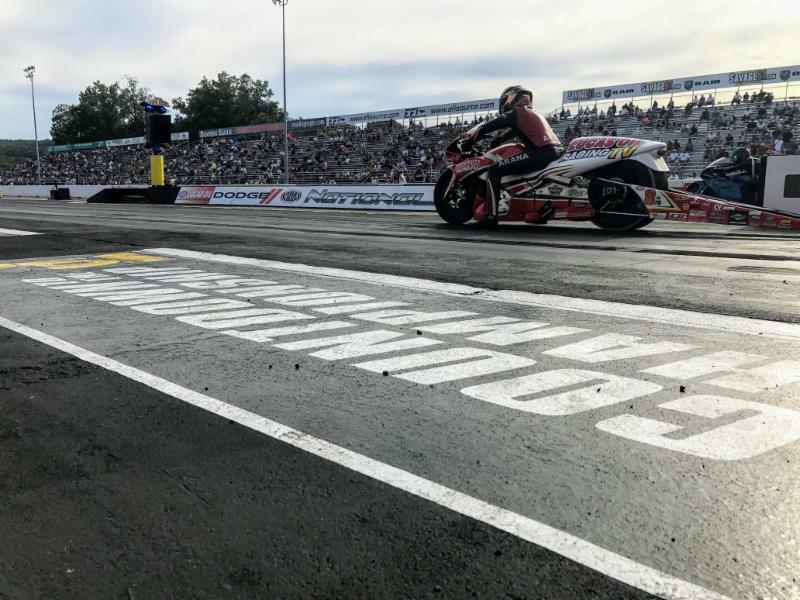 “Yeah, it was a little too warm, especially in Round 1, to go for anything close to 200 mph so that will have to wait,” Arana said. “But we are very happy to be on the pole, even if it’s just for one night. It’s one of the goals you have every weekend and to get the job done is a really good feeling. 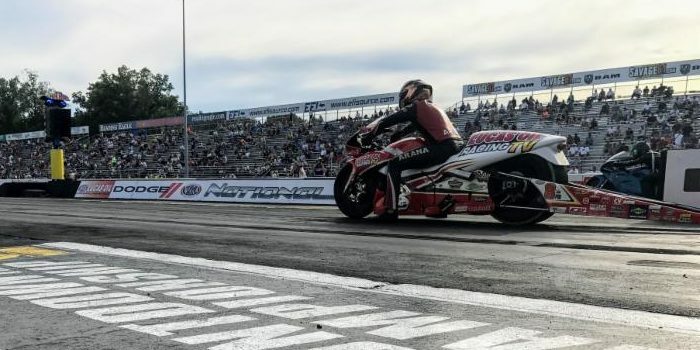 “The clouds rolled in later in the afternoon and everyone was chasing a better tune-up,” Arana said. “Our team found the right spot for the bike in relation to the conditions and it went straight down the groove. I could tell it was a good pass. I wasn’t sure it would hold as the No. 1 spot since we went first in Q2 but it held, which says a lot about the work that went into that run. Currently third in the Mello Yello title chase, 52 points out of the lead, Arana knows this weekend’s event could be pivotal in the ultimate outcome. Reading is the second of six races in the Countdown to the Championship.